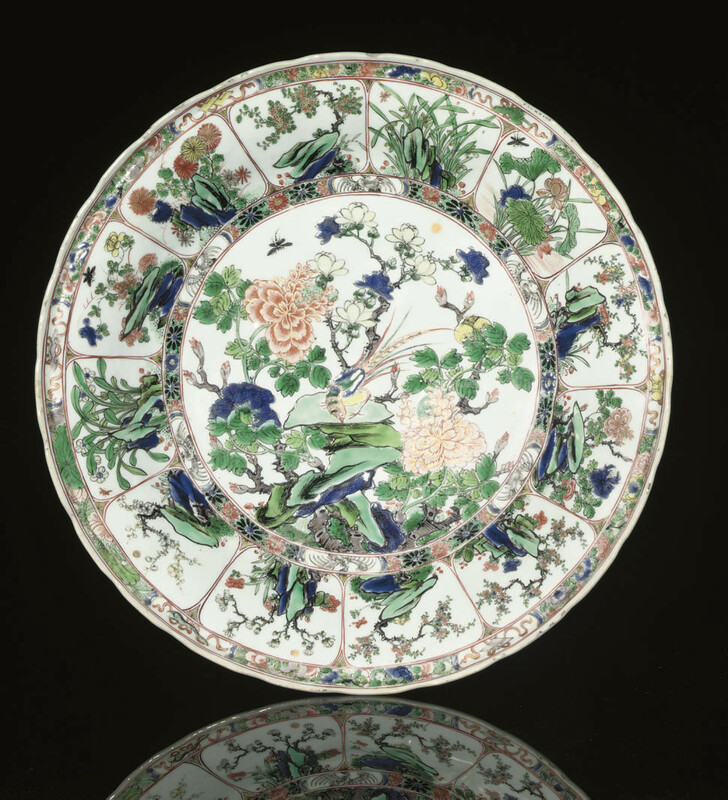 the interior with a central roundel with a peacok surrounded by oversized magnolia and peony sprays, encircled by alternating floral and bird decoration below the lappet sides with cartouches of flowers and rocks, the shaped rim with foliate decoration, the exterior with four blossoming sprays, underglaze blue zhi mark on the base -- 14in. (35.8cm) diam. Purchased from Bluett and Sons, London, 28 February 1944 for £85.